Take a flight from Mumbai at 06:35 Am. Reach Singapore at 02:50 Pm. Pick up from Airport & Transfer to Hotel. On arrival check in at Hotel & Relax Yourself. In evening visit Garden by the Bay. & Marina bay Sands Back to Hotel. Overnight at Hotel. 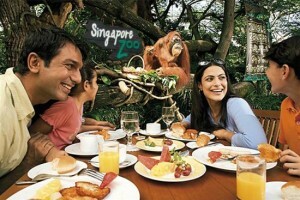 After breakfast visit Singpore City Tour with Flyer & Transfer to Airport Take a flight from Singapore at 03:50 Pm. Reach Mumbai 07:05 Pm.